The M17x R4 is a 17.4-inch sized laptop and is said to arrive with three display options available - HD+ (1600 x 900), Full HD (1920 x 1080) and Full HD with 3D capabilities. Further is the claim of eDP (embedded DisplayPort) being used for this gaming notebook's LCD communication. 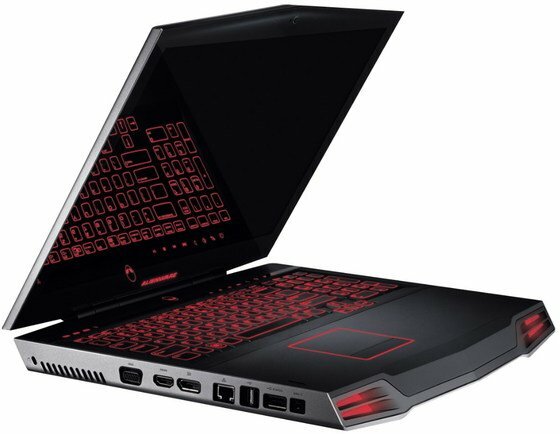 The Alienware M17x R4 will be packed with an Ivy Bridge based processor and its discrete GPU options will comprise a Radeon HD 7970M and a couple of NVIDIA choices; the GeForce GTX 660M or GTX 675M. There was also a mention by the source of it launching with two color schemes - black and red.